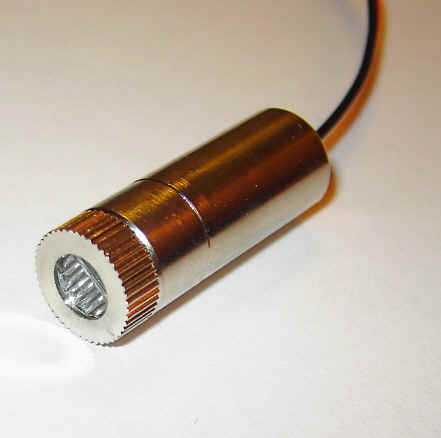 780nm 25mw infrared laser module, 12x30mm format, complete with 120 degree line generator. 3.2VDC input, internal automatic current control drivers. Compatible with all AixiZ lens attachments.